Breathtaking sideways action featuring 23 competitive stages in the legendary Welsh forests culminating in a spectacular new Power Stage. 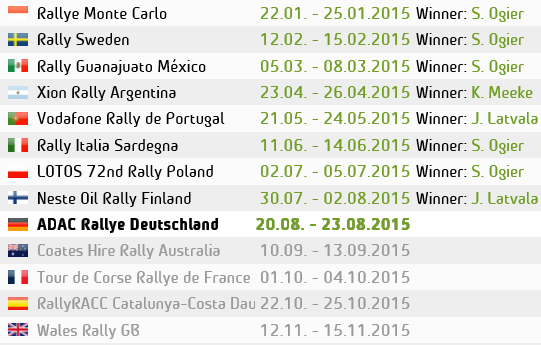 Top British drivers – Elfyn Evans and Kris Meeke – gunning for home glory. Special family-friendly spectator stages at Chirk Castle and Kinmel Park with improved entertainment and facilities for all ages. 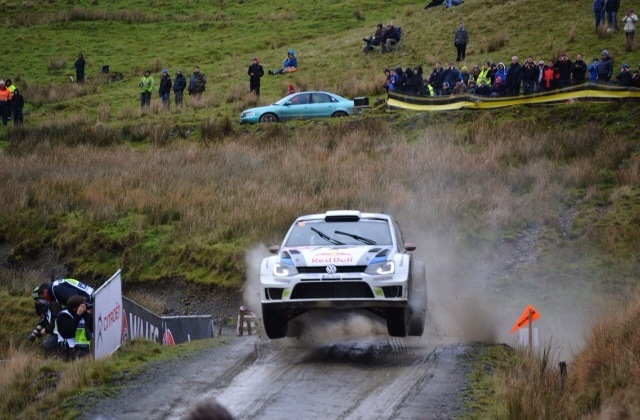 This year’s Wales Rally GB (13-16 November) will build on the huge success of last year’s revitalised event when a move to north Wales proved to be a huge draw for both fans and competitors, attracting record numbers of spectators plus a full capacity entry from right around the globe. The 2014 route features a more compact and fan-friendly three-day schedule comprising all the classic ingredients that make Wales Rally GB such a fitting finale to the season-long FIA World Rally Championship including the best possible spectator access, based out of the widely-praised new Service Park in Deeside. The majority of the exhilarating timed sections are set on some of the world’s finest rally tracks in the legendary Welsh forests, while two stages held in darkness on Saturday evening will increase both the challenge and spectacle. The itinerary on both Saturday and Sunday includes a family-friendly RallyFest event designed to provide families and casual rally fans with the opportunity to experience the excitement of world championship action in more accommodating surroundings with enhanced facilities. The Thursday evening Ceremonial Start has moved to the Eirias Park Stadium in Colwyn Bay where entry will be free and include access to the popular pre-event autograph session with the world’s leading drivers in attendance. The dramatic high-speed action then blasts off early Friday morning to familiar Wales Rally GB territory close to Machynlleth. A long, challenging day in mid-Wales features double runs through the well-known Gartheiniog, Dyfi, Hafren Sweet Lamb and Maesnant stages, either side of a remote service in central Newtown. Saturday’s action is closer to Deeside including two spectacular stages in the famous Clocaenog forest plus morning and afternoon runs through Aberhirnant and Dyfnant – the final two after sunset. Before that the competitors return to the mid-day service in Deeside via Chirk Castle close to Wrexham for the first of the two RallyFest stages. The picturesque Chirk Castle proved so popular when introduced last year that the number of spectators trying to access the venue created serious traffic and other issues. Responding to these, the organisers have created a completely revised traffic management system, increased parking and enhanced spectator facilities to ensure a truly family-friendly experience. Moreover admittance this year will be by advanced ticket only, which will help to control numbers and assist with event planning. The rally will conclude on Sunday with another RallyFest Stage at Kinmel Park, easily accessible from the A55, plus two challenging new stages in north Wales: Alwen and Brenig. The final run through the breathtaking scenery of Brenig is the event’s dramatic, concluding Power Stage for which extra points are awarded. It could be the 2014 world championship title decider, too. As last year, the winners will be crowned on Mostyn Street in Llandudno. Access to both official Start and Finish Ceremonies will be open to the public and totally free, as is admittance to the Service Park in Deeside. WORLD RALLY PASSES ON SALE! World Rally Passes are already on sale priced at £99 and will provide access to all 23 special stages including the RallyFests at both Chirk Castle and Kinmel Park. Prices for day Forest Passes, RallyFests and individual stage access will be confirmed when they go on sale later this month.